Greybrook Realty Partners Inc. is pleased to announce the successful deployment by its managed issuer of $23,605,000 in equity to acquire and subsequently manage the development of two parcels of land located in Mississauga, Ontario. 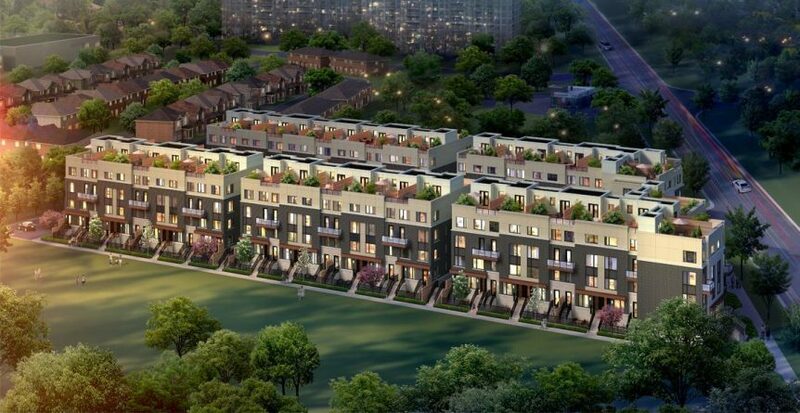 The properties are co-owned with two experienced Greater Toronto Area (GTA) developers, Metropia and Sorbara Group. The properties are in close proximity to one another and located in the established Erin Mills district of Mississauga. The first property is situated at 3355 The Collegeway and is expected to be developed into a mixed-use development comprised of 336 stacked townhomes and approximately 12,000 square feet of redeveloped retail and office space. The second property is located at 2277 South Millway and is expected to be developed into a low-rise residential development comprised of 144 stacked townhomes. The developments will provide future residents with convenient access to a diverse range of community amenities, 400-series highways, public transit, shopping and a variety of green spaces. The developments, which are located within established communities, will provide prospective purchasers with a source of newly-constructed homes. “Our asset management team continues to evaluate high-quality investment opportunities that have a strong probability of yielding exceptional returns for our investors. Investing in infill developments within strong growth areas in the GTA, like Mississauga, will help fulfil the real demand for affordable ground-related housing in the market and provide our investors access to an exceptional development opportunity,” said Peter Politis, CEO of Greybrook Realty Partners. Metropia and Sorbara Group have collectively developed over 20 low-rise and high-rise communities. “We are pleased to complete this inaugural transaction with two well respected developers with exemplary track records and deep management expertise. Selecting the right development partners is at the core of our investment strategy and Metropia and Sorbara Group are two excellent additions to our select network of high-quality partners,” commented Mr. Politis.